ted traveler, from pristine lakes, rivers and national parks, to fascinating and friendly Mexican pueblos. It is a mountainous area, so you might want to bring warm clothes and a sleeping bag, as budget hotels can be a bit on the stingy side with blankets. Getting around the state is fast and hassle-free, as places of interest are all conveniently close to each other, so long bus rides are not necessary. The major destinations are San Cristobal and Palenque, but if you can allow yourself more time to get off the beaten track, you will be rewarded with some magical experiences. 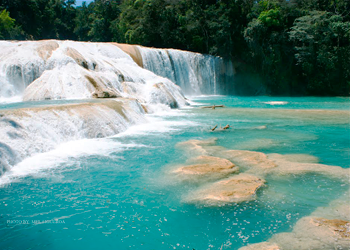 At times, Chiapas feels like a Mexican wonderland, and sparing the major attractions, you’ll likely have it all to yourself. 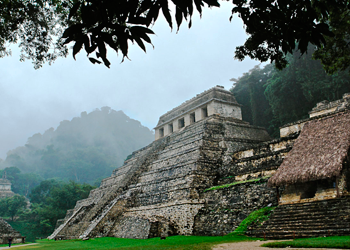 Deservedly one of the top destinations of Chiapas, the soaring jungle-swathed temples of Palenque are a national treasure and one of the best examples of Maya architecture in Mexico. 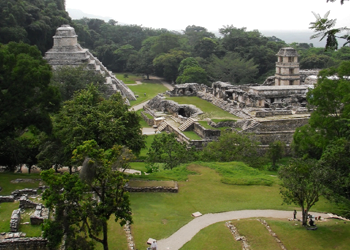 Modern Palenque town, a few kilometers to the east, is a sweaty, humdrum place without much appeal except as a jumping-off point for the ruins and a place to find internet access. Many prefer to base themselves at one of the forest hideouts along the road between the town and the ruins, including the funky travelers’ hangout of El Panchán. Set in a gorgeous highland valley surrounded by pine forest, the colonial city of San Cristóbal (cris-toh-bal) has been a popular travelers’ destination for decades. It’s a pleasure to explore San Cristóbal’s cobbled streets and markets, soaking up the unique ambience and the wonderfully clear highland light. This medium-sized city also boasts a comfortable blend of city and countryside, with restored century-old houses giving way to grazing animals and fields of corn. Surrounded by dozens of traditional Tzotzil and Tzeltal villages, San Cristóbal is at the heart of one of the most deeply rooted indigenous areas in Mexico. A great base for local and regional exploration, it’s a place where ancient customs coexist with modern luxuries. 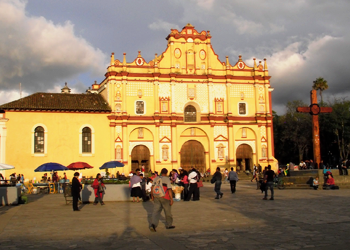 The city is a hot spot for sympathizers (and some opponents) of the Zapatista rebels, and a central location for organizations working with Chiapas’ indigenous people. In addition to a solid tourist infrastructure and a dynamic population of artsy and politically progressive foreigners and Mexicans, San Cristóbal also has a great selection of accommodations and a cosmopolitan array of cafes, bars and restaurants. Is a narrow and deep canyon surrounded by a national park located just north of the city of Chiapa de Corzo in the Mexican state of Chiapas The canyon has vertical walls which reach as high as 1000 meters, with the river turning up to ninety degrees during the thirteen kilometers that the narrow passage runs. 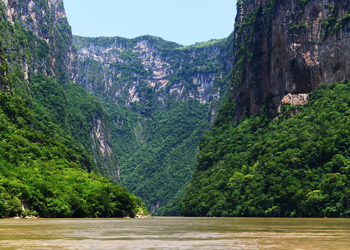 Surrounding the canyon is the Sumidero Canyon National Park, which extends for 21,789 hectares over four municipalities of the state of Chiapas. The canyon/park is the second most important tourist site in Chiapas, drawing mostly Mexican visitors who see the canyon by boats which leave from Chiapa de Corzo. The scenery of the canyon has become a major tourist attraction for the state, with developments for eco tourism and extreme sports. The navigable part of the Grijalva River is mostly used to ferry visitors into the canyon area. The park has six lookout points accessible by land called La Ceiba, La Coyota, El Roblar, Tepehuaje, Los Chiapas and Manos. In the rainy season, tourism is enhanced by the activity of waterfalls such as the Árbol de Navidad, Cueva del Hombre, Cueva del Silencio, Cueva de Colón, Cueva de Colores and Cueva del Suspiro. The main attractions of the national park are its 59 lakes, collectively called the Montebello Lakes. The lakes are famous for their striking colors, which vary due to their different mineral contents, ranging from emerald and turquoise to dark green, and even purple and reddish black. About 15 of the lakes are easily accessible by car or foot. Lago Tziscao is the largest of the lakes with a village nearby. 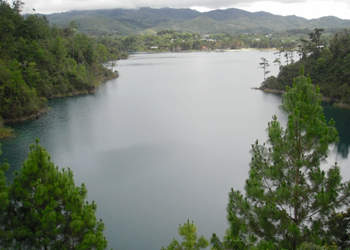 Other lakes include Montebello, La Cañada, Pojoj, and a group of five lakes known as the Lagunas de Colores. This beautifull waterfall consists of many cataracts following one after another as can be seen in the first photo in the picture gallery, taken from near the top of the sequence of cascades. The larger cataracts may be as high as 6 meters (20 feet) or so. The one pictured to the right is next to the bottom of the sequence. The water is as blue as it looks in the pictures, and has a high mineral content. Where it falls on rocks or fallen trees it encases them in a thick shell-like coating of limestone. This can be seen clearly in one of the minor falls in one of the pictures in the gallery below, where the part of a tree that leans against the waterfall is heavily coated while the part further away is not coated. Some fully coated log shapes can also be seen inside the fall in that same picture, as well as coating on the rocks. 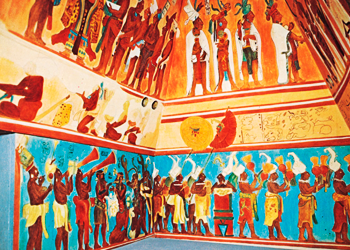 Bonampak is widely known for its impressive murals which describe bloody warfare scenes. 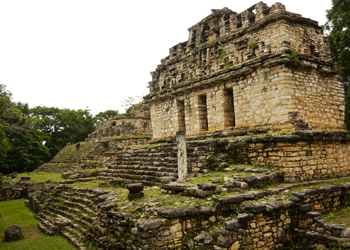 The site is approximately 30 km (19 mi) south of the larger site of Yaxchilan, under which Bonampak was a dependency, and the border with Guatemala. While the site is not overly impressive in terms of spatial or architectural size, it is well known for a number of murals, most especially those located within Structure 1 (The Temple of the Murals). The construction of the site’s structures dates to the Late Classic period (c. AD 580 to 800). In addition to being amongst the most well-preserved Maya murals, the Bonampak murals are noteworthy for debunking early assumptions that the Maya were a peaceful culture of mystics, as the murals clearly depict war and human sacrifice.